Nothing says "Scotland" more than the beautiful sound of the bagpipes. 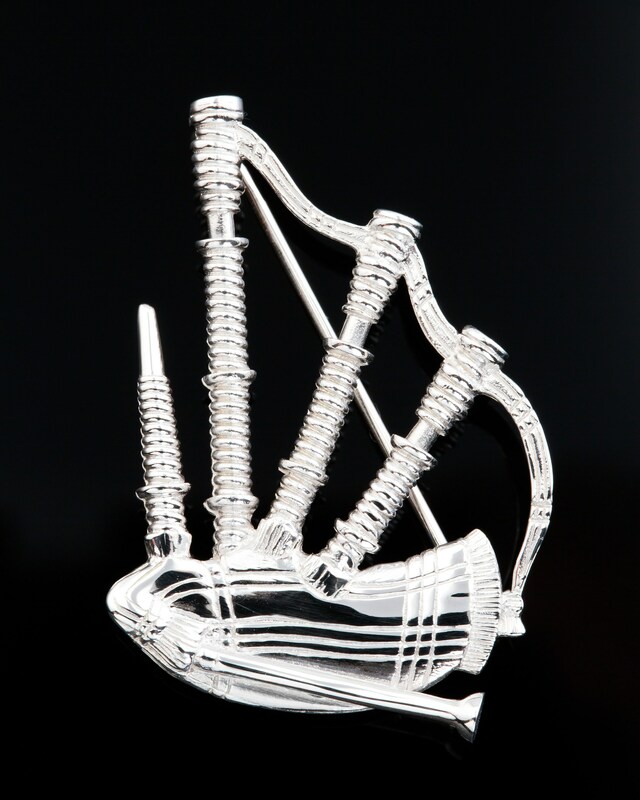 Here, this artisan piece recreates the Highland bagpipes in heavy sterling silver. each line and feature of this beautiful instrument is created in sterling silver resulting in an heirloom piece that will be treasured. Scottish Bagpipes Brooch - 40mm. Bagpipes are a woodwind instrument using enclosed reeds fed from a constant reservoir of air in the form of a bag. Though the Scottish Great Highland bagpipes are the best known in the Anglophone world, bagpipes have been played for a millennium or more throughout large parts of Europe.